Click here to read The Dog Vine’s report on the 2018 show. Click here to check out coverage of the 2018 show by Chiswickbuzz. Click here to check out coverage of the 2018 show by The Londog. The poster boy for 2018 is Mylow, who found his new home with a local family via The Dog's Trust Rehoming Parade at the Dog Show in 2016. We are very grateful to Hugh Miller who patiently photographed Mylow and to ArtsEd for allowing us to use their theatre as the setting. It was a fun morning for all of us, but mostly for Mylow given the quantity of treats he enjoyed trying to be persuaded to wear the big bow-tie and not eat it! 14th May 2018 at The George & Devonshire Pub, W4 2QE. Doors at 6.30pm and races start at 8pm. Over 18s only. Dogs welcome. Tickets are £3. With thanks to our kind sponsor DogTown. Lexie, Luke and their dog Bali at the final destination of the treasure hunt in September 2017 - Lilly’s Tomb at Chiswick House Gardens. They are now enjoying their tennis lessons courtesy of Will-to-Win. 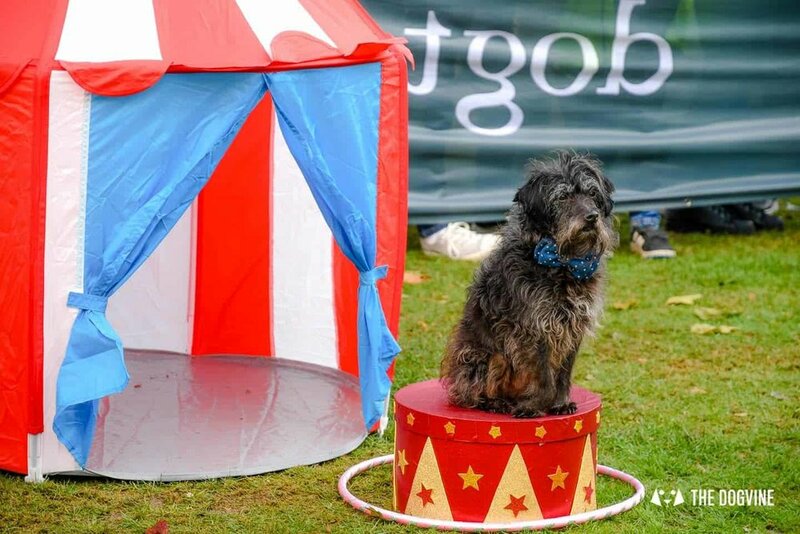 Sherlock Bones invites you to join him and sniff out the clues to solve the mystery of the ‘canine genius’ in conjunction with our friends at The Chiswick Calendar. Check out the Treasure Hunt web page for more information. 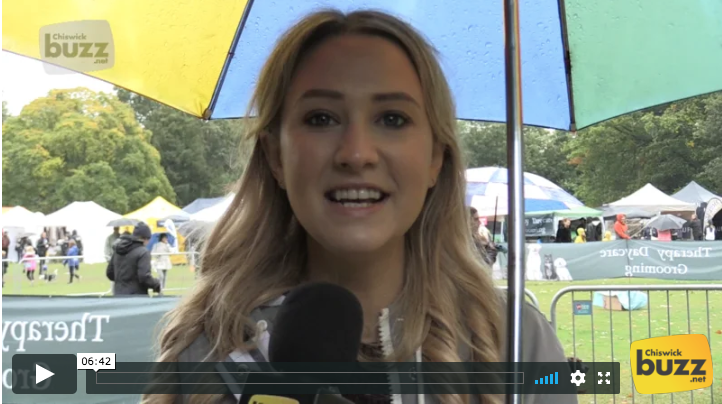 Chiswick Buzz always get some great interviews with the judges, volunteers and attendees of our show. Their 2016 report was no exception. Click here to view their fantastic video! Best Canine: The combination of differing expressions, coat colours and positions makes this a winning photo that demonstrates excellent composition. Echo's of the three monkeys come to mind. The brown chihuahua on the right is the real star of the scene… and he/she clearly knows it! Humour: This was the stand out winner of the Humour category. A three way sniff feast at the ‘backend’ of this particularly laid back dog is made even funnier by the obvious enthusiasm of the brown dog. Dogs that look like their owner: Lovely composition, depth of field and unusual side angle. We think that the similarities are all in the nose! 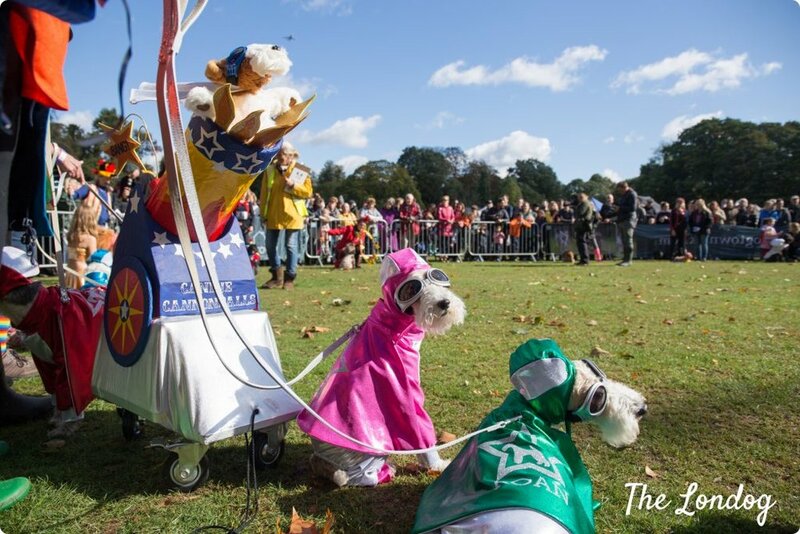 Capturing the spirit: This photo is a clear demonstration of the massive effort and creativity that goes into the Fancy Dress category which is always a huge crowd pleaser. The featured dog has such a happy expression on his/her face that dressing up as an old fashioned policeman is obviously all part of the fun. We were very chuffed that Jan Preece, our Chairman (aka Top Dog) was presented with an award at the LB of Hounslow's Volunteer and Community Group Recognition Reception in May 2017. Nominated for this by Councillor John Todd, the presentation was made by the retiring mayor, Councillor Ajmer Grewal. These awards are given to ‘groups or individuals who go the extra mile for their community’ and Jan was pleased to receive it on behalf of the Dog Show Committee.